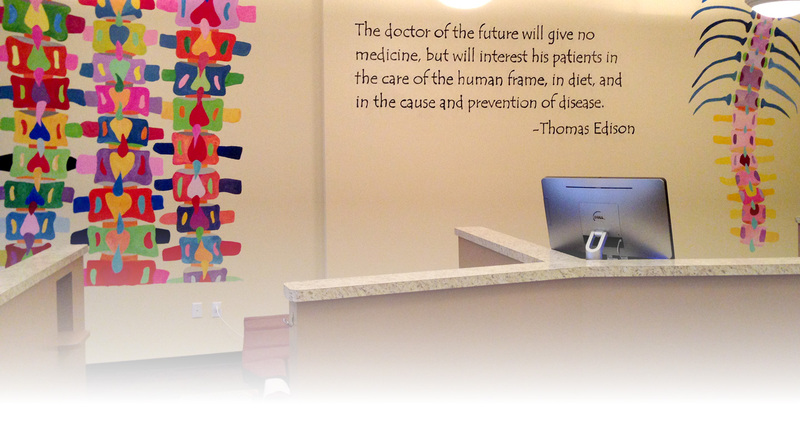 Since opening our doors in October 2002, the mission at Hands On Health Chiropractic has been to educate and adjust as many families as possible toward optimal health through natural chiropractic care. And although we do see a lot of families here, we ensure that each individual; whether they come alone, or as part of a family unit–gets individual attention. No two patients are alike. “I tailor everything to the individual, there’s no cookbook recipe for how many adjustments a person needs to heal, or precisely how they should be cared for,” says Dr. Meredith. We’ll conduct an exam, take X-rays, and share your personalized report of findings. This helps us to develop a specific treatment plan just for you, based on age, degeneration in your spine, your level of health, and personal health goals. Some are here to find relief of pain, others want to correct a specific problem, some stay on for maintenance care so that they can avoid recurrence of injury or illness, and some want to harness the power of chiropractic as it contributes toward overall wellness. You’ll get to choose the type of care you want. Our practice has now become almost exclusively referral-based, which is great. And we find ourselves getting patients who’ve been to some other chiropractor who said they needed a year of care in order to get relief or get well. You won’t be pressured to commit to a long term care plan here. Our goal is to get you feeling better and back at your life fast. Don’t be surprised if eventually our passion for chiropractic rubs off on you, or if you find yourself wanting to find out more about how it can contribute to your overall health. But let’s get you out of pain and leading a normal life first. And whether or not you want to go any further with chiropractic will be entirely up to you. Give us a call today at (817) 421-4775 to learn how we can help you.